This costume includes a blue and green jumpsuit with yellow buttons, a pair of white gloves, a detachable belly a green hat with a capital "L" for Luigi and a moustache accessory that can be attached with adhesive. Upload your photos to Instagram with the hashtag #funidelia followed by #funidelia05036. 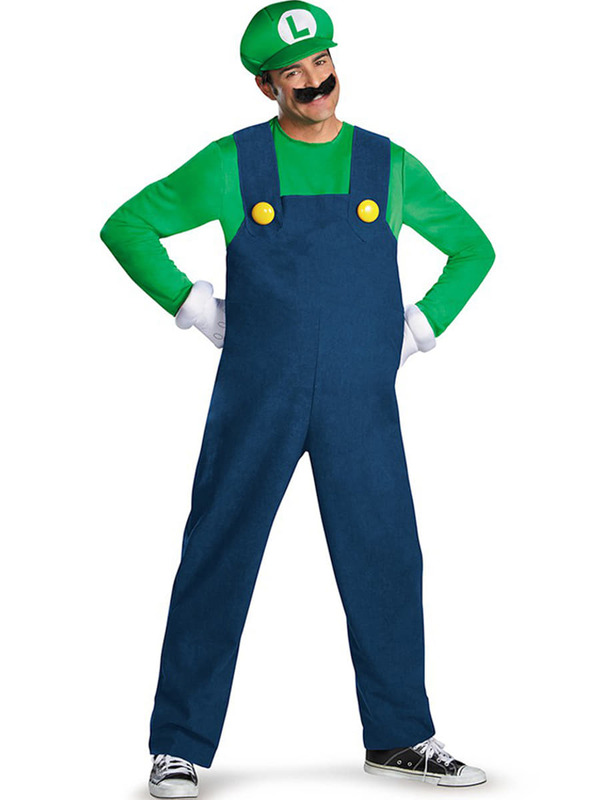 Product Rating: "Prestige Luigi Adult Costume"